Today is all about mantles! of course I have to share them all! Cottage in the Oaks put together this Spring-themed mantle. I'm in love with her 150 year old mantle they inherited from a church. What a treasure! on Cobblestones & Ivy's shelf/mantle. 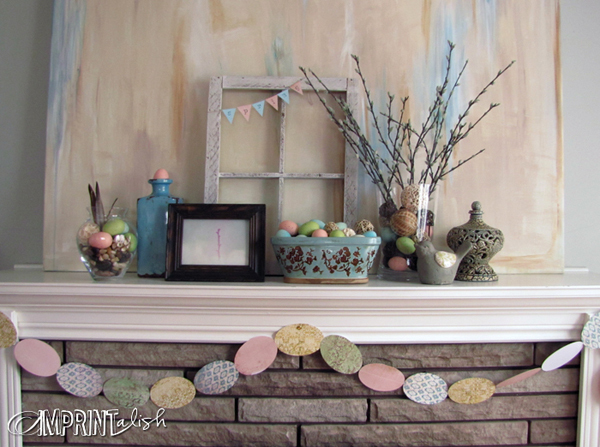 Look at this treasure-filled Easter Mantle from Our Life in a Click. Check out this Spring egg-themed mantle from Imprintalish. The colorful eggs are beautiful! that reflect why we celebrate Easter. I love the He Is Risen framed print! 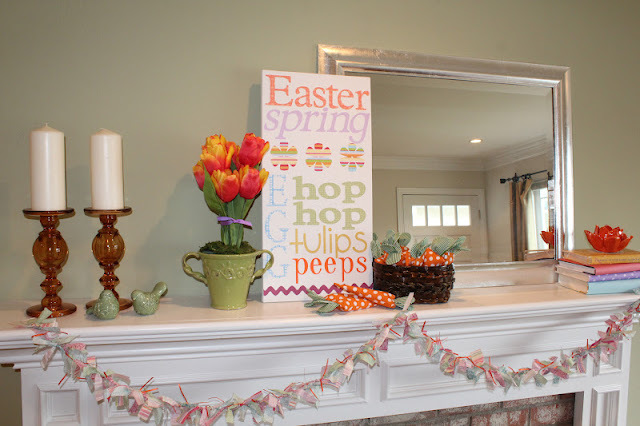 Look at this Springtime mantle from Our Family Journey. So many fun frames and cute birdhouses. 21 Rosemary Lane created this Easter mantle with black, white and yellow. I would have never thought to put these colors together for Easter...I like it! Check out this sweet bunny mantle from Fox Hollow Cottage. I'm thinking I need a banner just like hers...and a turquoise wall! Adventures in Decorating linked up this beautiful Easter mantle. I'd like to pick this up and move it directly into my home! 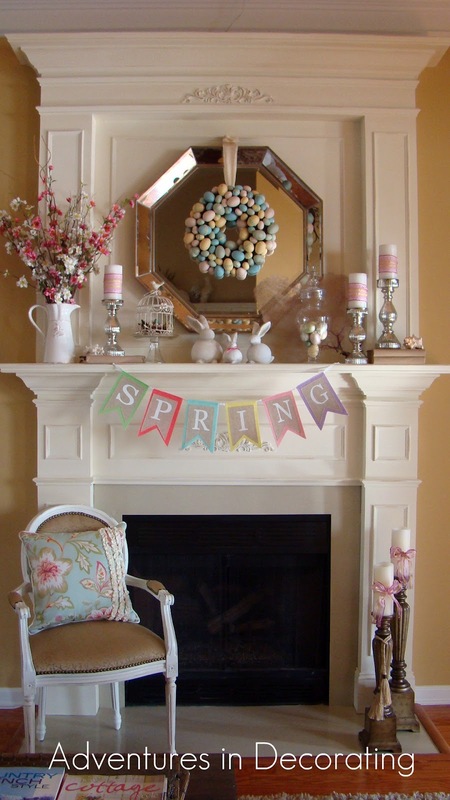 Look at this cheery Spring mantle from Swirlygirl Dreams & Decor. Did you see her bookpage wreath? So fun! 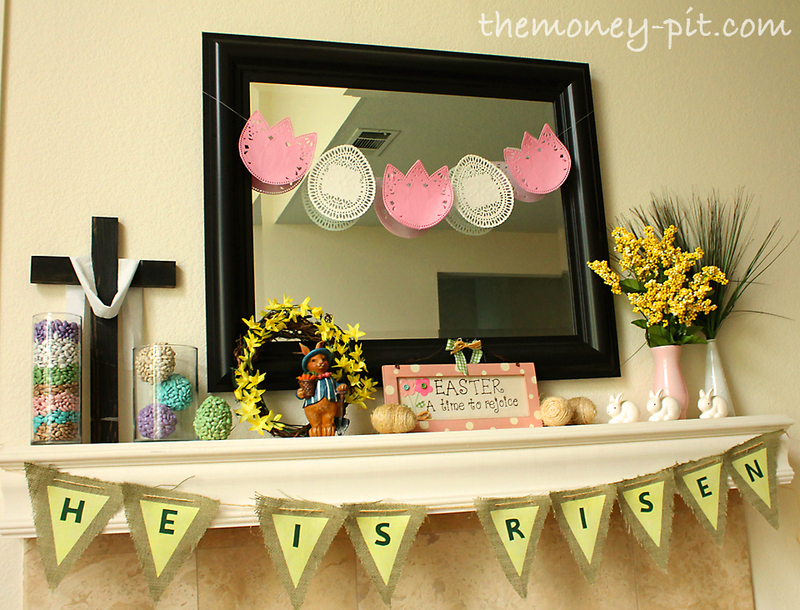 The Money Pit created this mantle to be more Christ-centric for Easter. The sign, the cross and the banner all point back to Christ. but take a look at her mantle with the bright and cheery Easter Subway Art, too! 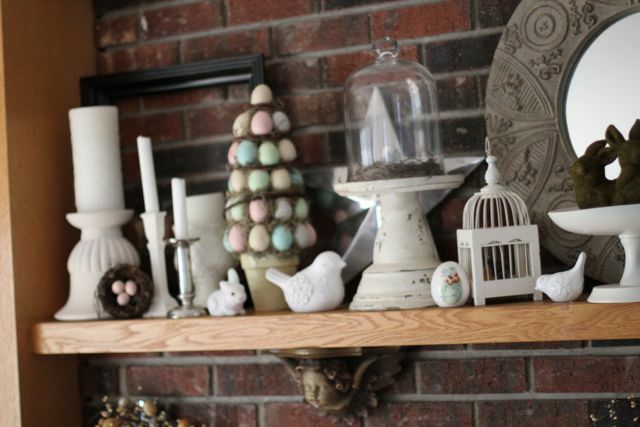 Thanks to all for linking up such great mantle inspiration! Be sure to check out all the inspiration at my Springtime Holiday Link Party! Gorgeous Mantels up there! I enjoyed seeing each of them, they all have a different little touch. Super pretty! Thank Michelle for the feature...today is really turning out to be a great one! Have a wonderful weekend and thank you again!!! I probably say this a MILLION times but I can't wait till we get a darn mantle over our lonely and pathetic fireplace! These pretty ones are making me even more eager to get that project done! Thank you so very much for featuring our mantel ... I truly appreciate it. I love the other mantels you highlighted ... such wonderful colors and full of Spring! Thanks again! What a great selection of mantels. I am thrilled to be included. Thanks so much! I'm sharing this little parade on my fb page ;) The eggs down below too! Lots of great inspiration. Happy Spring. THANK YOU so much for the feature!! Wow That is awesome! Thanks so much for featuring me :) These are all such beautiful mantels!! !